Sometimes you don't want to battle hills. Enjoy scenery and the joy of cycling without going to war with the gravitational pull of the earth. Here is a selection of bicycle tours on flat or mostly flat terrain. Of course - if it's hills you want, we've got them. 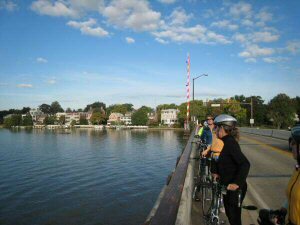 A cycling tour of the Wisconsin's charming Door County Peninsula. 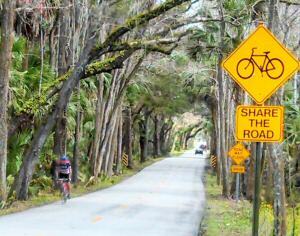 A wealth of rural and water views and lightly traveled roads create perfect conditions for cyclists of all abilities. It isn't totally flat -- there are short hills all around, but nothing challenging. Come with us to find out why Door County, WI has is called the “the Martha’s Vineyard of the Midwest! Don't miss the chance to spend 6 days and five nights rolling past the well-kept dairy farms and cherry and apple orchards that dot the horizon with their ever-present red barns. 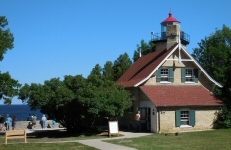 There is one Door County tour available in June and there are two tours available in July. Explore the eastern shore of Maryland and Delaware on bike. The flat terrain between the Chesapeake Bay and the Atlantic Ocean is laced with a wonderful network of country roads. Spend 6 days and 5 nights biking thought miles of this flat coastal region. The pristine area is that awaits you is defined by the numerous tidal rivers that drain into the Chesapeake Bay and the shimmering beauty of undeveloped seashore on the Atlantic Ocean. 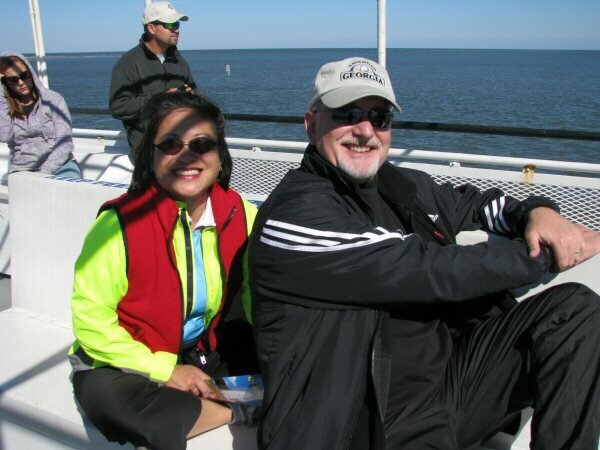 There are four Chesapeake Bay tours available this year. One tour is available in late April, one is available in May, and two are available in September. Enjoy this cycling tour of the Jamestowne, Williamsburg, Yorktown and more. The inviting area of Virginia's "Historic Triangle" offers the history lover the opportunity to step back in time. As a cyclist, you will love pedaling between the historic sites on the Colonial Parkway and a combination of country roads and paved paths. This 6 day, 5 night tour explores the historic district of Williamsburg, rural roads of Surrey County, and Revolutionary-era sites. 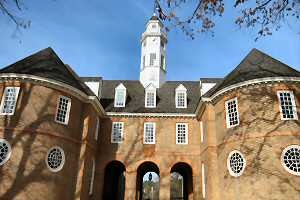 There is one Colonial Virginia Tour available in May and one tour available in late September. Flat terrain road bicycling, fine dining, and waterfront accommodations welcome you to the barrier islands of North Carolina. 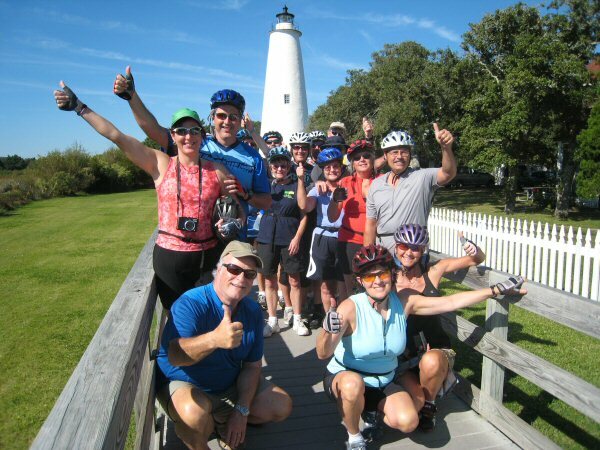 This is a bicycle tour of North Carolina's Roanoke, Hatteras and Ocracoke Islands. Visit the site of the Wright brothers’ first flight, miles of undeveloped seashore, and up to four historic lighthouses. Spend 5 days and 4 nights enjoying seafood and sunshine! There are three Northern Outer Banks tours available this year. There is one available in April, one available in May, and one available in October. Sparkling sandy beaches, delectable seafood, relaxing ferry rides, and extraordinary biking await you on this special tour. We visit in the spring and fall, when the crowds are gone and the weather is perfect for bicycling. Enjoy two nights in Ocracoke Village, "the Pearl" of the Outer banks. We cylce 25-40 easy miles of flat, coastal terrain each day of this 4 day, 3 night trip. Experience what we think is the best way to observe the coastal wetlands through the Cedar Island National Wildlife Refuge and the Cape Hatteras National Seashore! There is one Four-Day Southern Outer Banks Tour available in May and one tour available in October. The famous picturesque lighthouses of the North Carolina seashore complete our adventure in the historic islands haunted by Blackbeard’s legend! This 6 day, 5 night trip is designed for flexibility, offering 15 - 50+ miles each day. The terrain is flat, making it accessible to all ability levels. Strong coastal winds sometimes present a minor challenge, but they are just as likely to propel us along our route! There is one Six-Day Southern Outer Banks Tour available in April and one tour available in October. Spanish moss draped live oaks, antebellum architecture, and the unique history of South Carolina make this a tour to exercise mind and body. 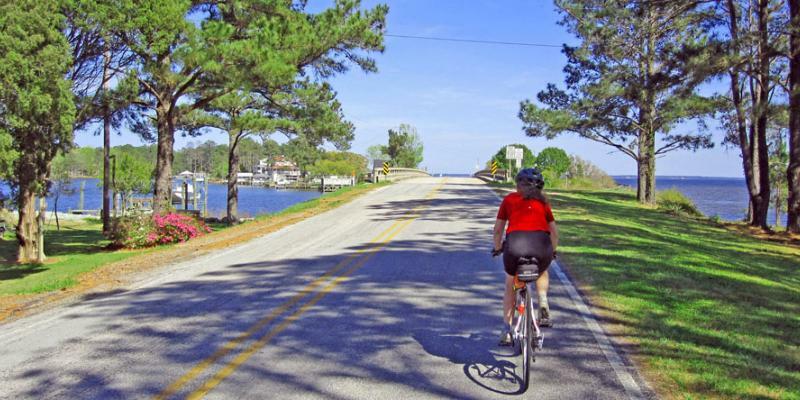 Road bicycling on easy, flat terrain on the islands of the SC coast. Walk the beaches with gentle sea breezes and stroll past architectural treasures on the streets of Charleston and Beaufort, SC. And, of course, experience the legendary warmth and charm of southern hospitality in gourmet restaurants and cozy inns over 6 days . and 5 nights of this trip. 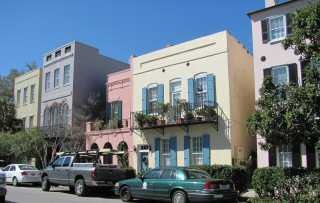 There are four South Carolina Lowcountry tours available this year. There is one available in March, one available in Apil, and two available in October. Enjoy flat coastal bicycling, sparkling water views, historic Saint Augustine, and pristine Amelia Island. Each town we stop in is filled with southern charm and history. Bike along a windy country road that snakes along a tidal creek, providing classic Florida views complete with wispy Spanish moss. This 6 day, 5 night trip has plenty of biking, but also plenty of downtime to stroll down pristine beaches or explore the area's shops, galleries and museums. There are three Florida First Coast tours available this year. There are two available in October and one available in November. Looking for a more challenging ride? We offer plenty of hilly tours as well!